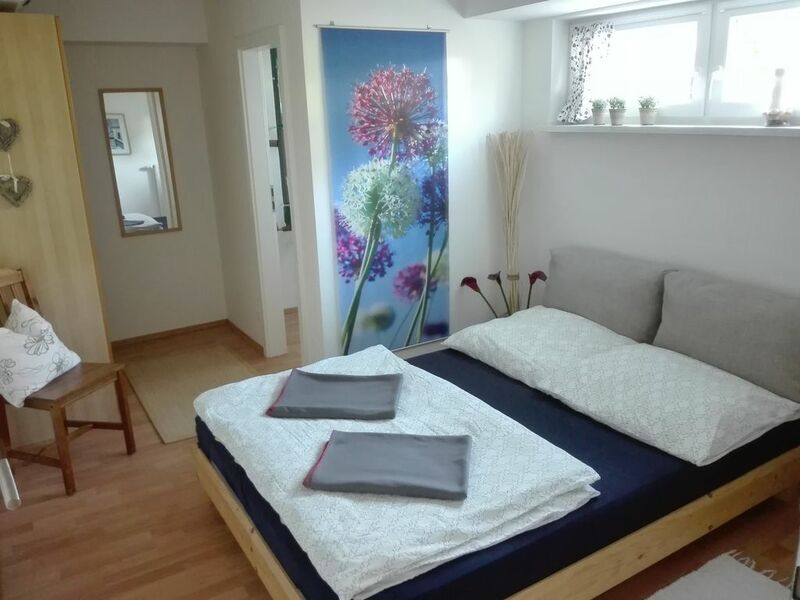 We offer you a modern furnished apartment in our family house - located in a quiet anterstrasse in the immediate vicinity of the old town of Meißner. The apartment has a bedroom with double bed (140x210 cm), a living room with sofa bed (140x210 cm), a fully equipped kitchen incl. Dining area and a shower room. We offer free satellite TV and wireless internet. You can also use our washing machine, our dryer and our spacious garden incl. Use of barbecue facilities and children's toys. We will gladly provide you with a travel cot, a high chair and a baby bath tub. Pets and smoking in the apartment are unfortunately not allowed. Up to Dresden's city center, there are about 30 car or It takes about 90 minutes to get to Leipzig. Meissner Stadtzentrum can be reached on foot in 10 to 15 minutes. Schöner Aufenthalt, ruhig gelegen, sehr sauber! Vielen Dank! Sehr schöne Ferienwohnung und sehr sauber. Modern und mit Liebe zum Detail eingerichtet. Wir können diese unbedingt weiterempfehlen. Die Unterkunft war sehr sauber und ordentlich. Sehr schöne und ruhige Lage in einem Wohngebiet (15 Min. zu Fuß bis zum Markt). Diese Unterkunft kann ich weiter empfehlen.